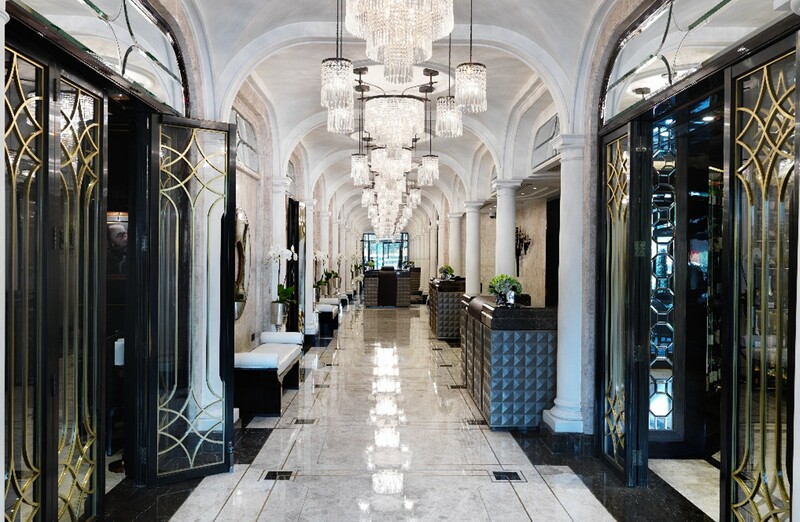 Dernier & Hamlyn produced a bespoke lighting collection, manufactured to a Dennis Irvine design, for The Wellesley, a 1920s townhouse hotel in Knightsbridge. 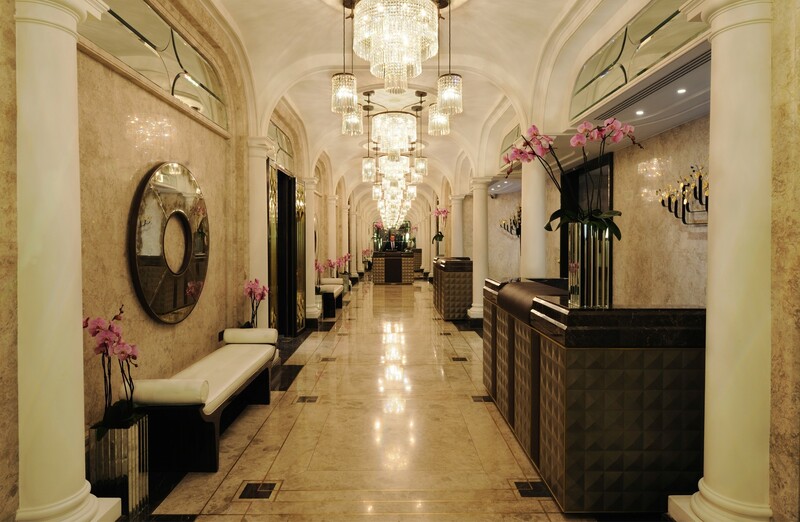 The building was beautifully restored with a combination of its original art deco and contemporary style. 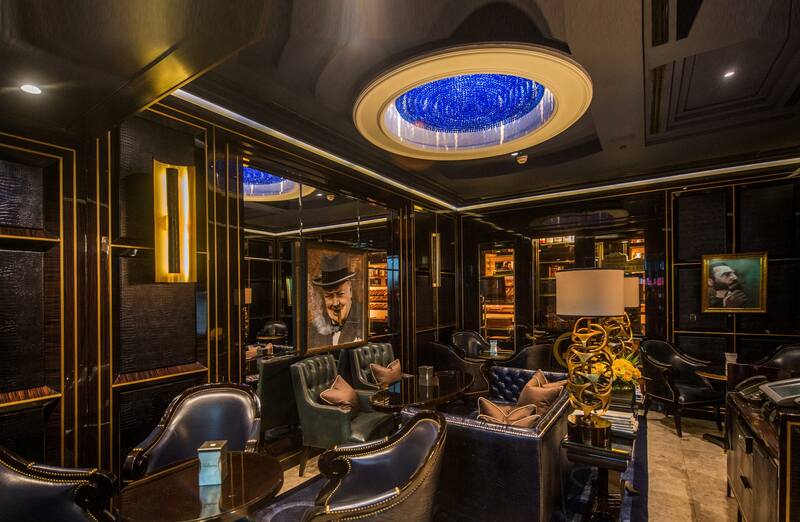 With 36 rooms and suites, it also boasts a Cigar Lounge and Terrace, The Crystal Bar, The Oval Restaurant and a Jazz Room that complements the building’s musical heritage. 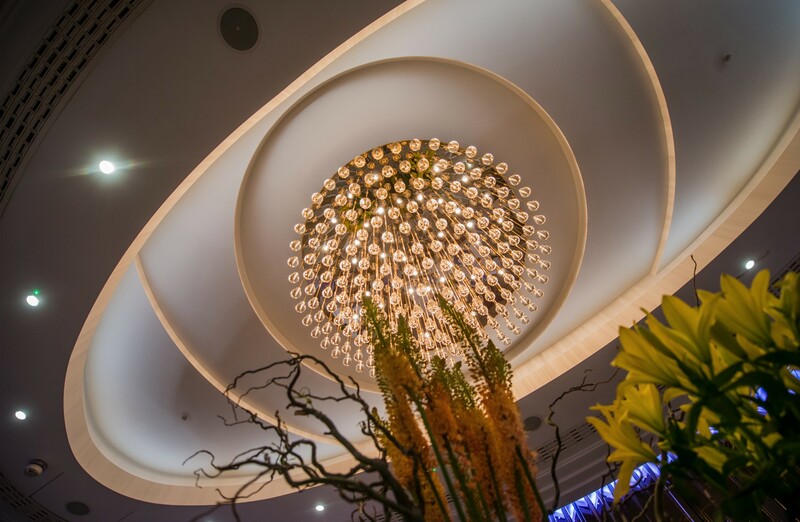 The fittings we produced can be seen in the hotel’s bedrooms and throughout its public areas, bars and lounges and include ceiling and wall lights in an art deco style, magnificent bespoke chandeliers in varying sizes and finishes and large external lanterns. 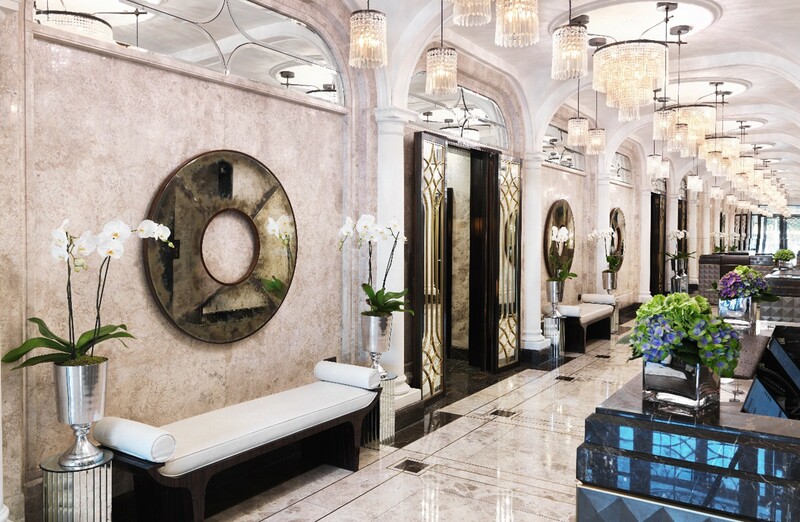 Our sister companies Louis Montrose and Tindle Lighting were also involved in this project. 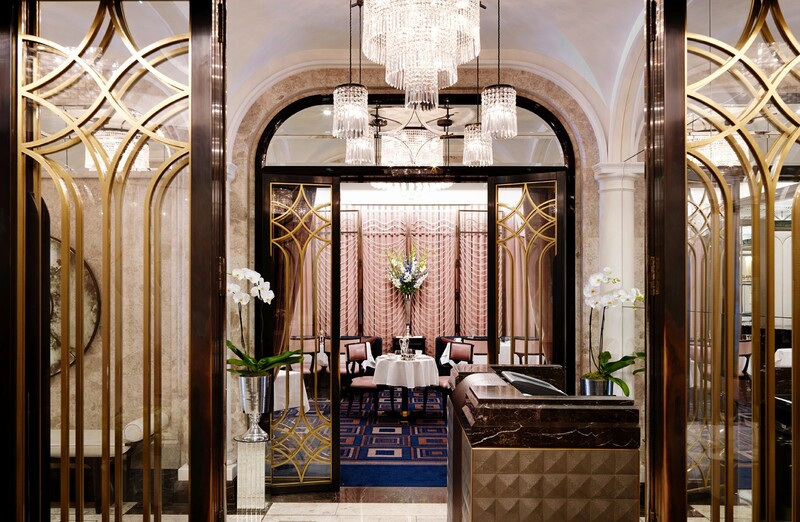 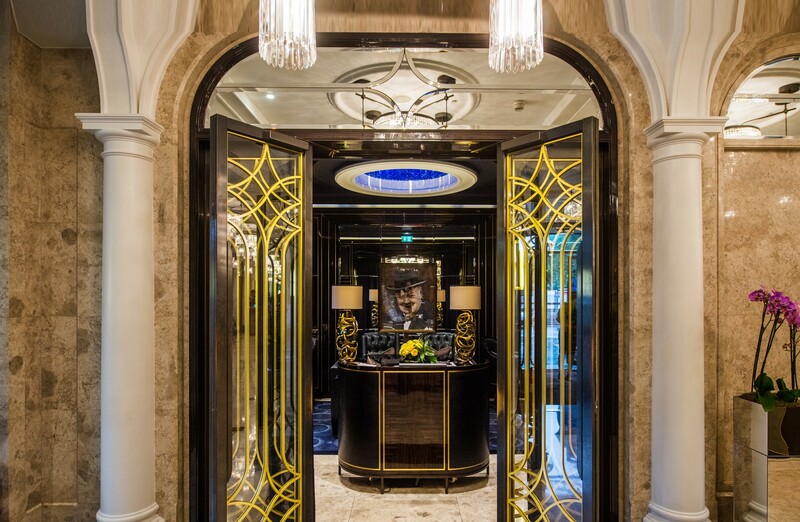 Louis Montrose produced a bespoke screen for the Jazz Lounge that takes references from a 1930s Chanel dress, while Tindle supplied picture lights that have been installed throughout the corridors of the building.